A Website is like your company’s online brochure, and to own a business in 2016 requires that you have an online presence. Your website lets potential and existing clients see what you offer and read about your history. It can be used to show your products to the world or brag about the work you’ve completed in the past. An informational website is a great tool for the small business. It puts your company out there for everyone to see and provides potential customers with a way to experience what your company offers without feeling pressured to buy. A professional-looking website that offers simple information is a great soft-selling marketing tool for your business. When we design a website, we design it with search engine results in mind. Our process begins with learning as much as we can about your organization. Prior to designing the website, we do our best to discern what goals you have for the site as well as what your industry is all about. After getting a good understanding of you and the project, our designers make recommendations about what we think you should include. The suggestions we make are based on our many years of web design and the research we do about you. Once we work with you to determine the content you wish to include on your website, then our creative team goes to work, crafting a mockup image that shows you what the website would look like if we build it. We then ask for your feedback, make any revisions you desire, and then code the site. All sites built by PC Technika have CSS-based layouts, and we use our own proprietary SEO techniques. 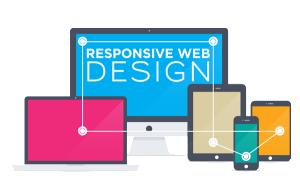 For additional information regarding the development of your website or for a quote on your specific project, give us a call at 919-741-6114 or fill out our contact form online. PC Technika is a leading provider of Managed IT Services, IT Support & Consulting in Raleigh, Durham, Cary and the greater Triangle area. Business or Home we can handle it all. Call us today!